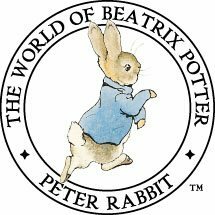 Beatrix Potter was born in London of very well-off English parents. Her father was rich enough not to have to work and the family spent long holidays in different parts of Britain. In 1871, when Beatrix was five, and for the next twelve years, the family came every summer to Dalguise House. They were very happy times. “Everything was romantic in my imagination. The woods were peopled by the mysterious good folk. The Lords and Ladies of the last century walked with me along the overgrown paths and picked the old fashioned flowers among the box and rose hedges of the gardens…… I remember every stone, every tree, the scent of the heather, the music sweetest mortal ears can hear, the murmuring of the wind through the fir trees. Even when the thunder growled in the distance, and the wind swept up the valley in fitful gusts, oh it was always beautiful, home sweet home. I knew nothing of trouble then.” This was written when Beatrix was eighteen. Later Beatrix was to return to Scotland staying at Birnam, a few miles south of Dalguise. By this time she was 27 and her comments on Scotland and Scots people were rather more astringent. It should be mentioned that these comments were written in a private diary kept by Beatrix from the age of about fourteen to thirty. Even more interestingly they were written in her own privately invented code, probably to prevent her mother reading them. To begin with they were put down with great neatness and care but as she grew more expert the calligraphy became progressively smaller, more fluent and less easy to decipher. Later, Kitty describes her childhood at the back of Ballinloan (near Trochry in Strathbraan). The area was by this time almost deserted. “A few mounds of large stones overgrown with nettles enclosing patches of vivid green, and on the neighbouring slopes strange ridges like wavemarks, where the turf and stout heather has grown over what was once ploughed land. There is sometimes a solitary robin haunting the dwarf thorns, and nearly always an uncanny blue hare on the lone hearthstone. Such silent mournful spots have appealed to the sentimental and unreasoniong susceptibilities of poets since the time when Goldsmith wrote his pensive Lament, and on the nerves of Radical politicians they are as red was to a bull. The simple fact is that people, even the Scotch who are still tolerable savages, cannot with the modern ideas of decency and comfort subsist like rabbits. This old woman living all alone, the last of her race, might be expected to look back with sentimental love for the past, but the circumstances most insistent in her memory appeared to be ‘the stinting’ which she endured and which stunted her growth as a girl. Her father had a small croft at Easter Dalguise which stands on the corner of our potato patch. She had five brothers and two sisters, she being the youngest. Her father died soon after she was born. When she was seven years old she went to ‘my uncle Prince’, who had a farm a mile up the water from Ballinloan, as a herd, and remained with him eight years herding the cattle on the hills. Kitty must have had a frugal life always, but she dwelt on this early part as a time of positive privation. Apart from the hardship, she spoke with affection of the idyllic shepherd life in summer on the hills. They milked the ewes then, a thing a crofter would hardly condescend to now. What did they live on? Just meat and a little milk. ‘Aye thae were poataties but no mony; aye neeps’. The staple evidently porridge. ‘They wad kill a sheep sometimes, or a stirk.’ She mentioned pigs as a source of satisfactory profit. Beatrix Potter was suitable unromantic about the breakdown of the old ways of life and little use for ‘Radical Politicians’. She showed little regret that whole communities had been forced to emigrate to America.